The latest trailer of The 5th Wave movie shows how a young and untried heart would feel it's the end of the world. That's mostly where all teenage angst comes from... until a much greater priority arrives overpowering this feeling... Watch also the new clip and featurette that will make you wish its already January. 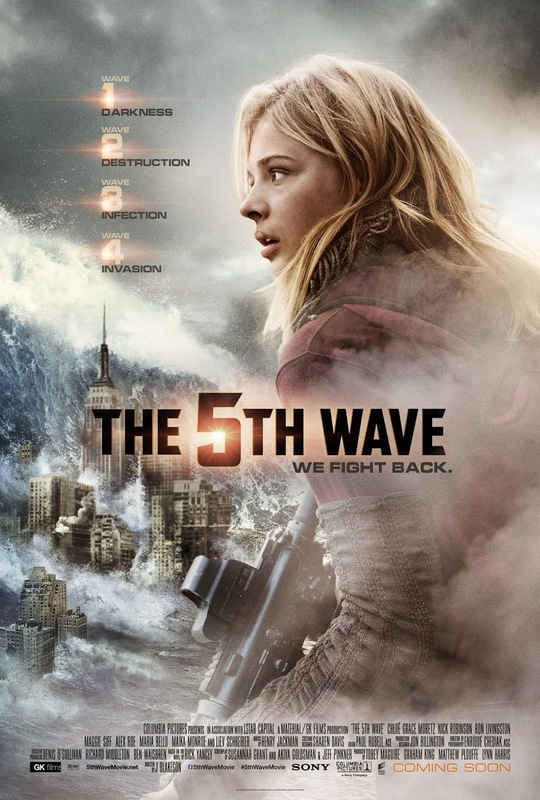 The 5th Wave is directed by J Blakeson.Chloë Grace Moretz, Nick Robinson, Alex Roe, Maika Monroe, Liev Schreiber, Maggie Siff, Maria Bello, Ron Livingston, and Zackary Arthur -- among many others. Watch the intense new teaser trailer of The 5th Wave, featuring the song Alive by Sia. And watch this new clip titled "Human." "Motivational Speaker" clip is also yours for the taking. And discover the magic of adapting the book to movie in this featurette. In the new film The 5th Wave, four waves of increasingly deadly attacks have left most of Earth decimated. Against a backdrop of fear and distrust, Cassie (Chloë Grace Moretz) is on the run, desperately trying to save her younger brother. As she prepares for the inevitable and lethal 5th wave, Cassie teams up with a young man who may become her final hope – if she can only trust. The 5th Wave hits cinemas on January 22, 2015.